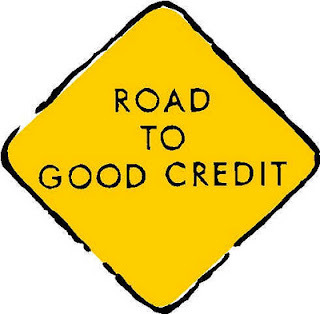 Suppose a lender rejects the request of a credit applicant and if the decision is based on the credit bureau report of the applicant, the lender has to inform the consumer that the decision is ruled by the Law of Equal Credit Opportunity Act (BEAC) and Fair Credit Reporting Act (FCRA). • A proclamation that credit bureau is not responsible and is unable to provide an explanation or reason for the said credit decision. Presently, it is not mandatory upon the lender to disclose credit scores in the notification of the negative action. It will probably change this year. The new regulations would probably assist consumers in getting an in-depth analysis of why their credit scores have been low and would help them to work towards improvement of the same. Washington has witnessed a flurry of activities in the recent times with regard to proposing, reviewing, and adopting rules for greater access to consumers to their credit scores - particularly those scores which lenders use during setting loan conditions and on the basis of which, they take a decision to grant or refuse a consumer credit application. Overall, this is certainly positive news, as consumers will have more transparency in the process of credit assessment, and access to the current credit rating of the lender. They will have a clear-cut understanding of why their credit application has been accepted or refused. As with every regulation, the rules and details are being decided upon. Additionally, you can get confused with such rules of various government agencies and proposed standards, as proved by the reporting requirements of proposed credit scores that were released a few days back by the FTC and the Federal Reserve. The proposed regulations are related to the credit score disclosure in the adverse action context and notification of price-based risks. On rejection, the creditor will inform you – the consumer, and submit an explanation/reason of why you were rejected for the loan application or service. You will also get access to a complimentary credit report copy from the specific credit-reporting agency the lenders referred to. Personally I think the credit scoring model is very flawed in some ways. There are things to which the credit bureau has no knowledge such as debt to income ratio and only debts are considered. The current system immensely hurts those who are getting divorced because of joint credit obligations without income considerations.